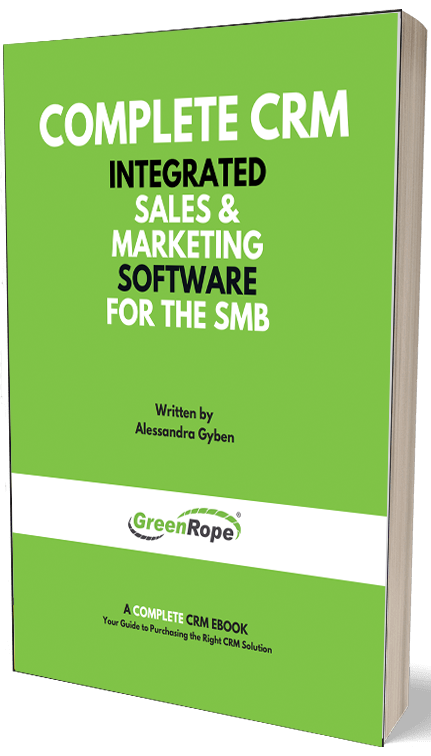 Blog and News | GreenRope :: Social CRM: What it is and Why You Need it! More simply, we would like to define Social CRM as the customer led conversation about your company, and the company’s response and engagement to this conversation. Social CRM is not a replacement of the traditional CRM, it is simply an evolution of it. Social CRM is a value-added component, allowing the company to get a well-rounded idea of customers, as well as potential customers and leads. Social CRM is a new term, and one that many do not fully understand. We all know that social media is huge, but now it is playing an even more important role in the sales process. Social CRM is the act of monitoring your industry and brand online, and seeing how individuals interact and respond to what is being put out there. This ability to monitor people via social networks can prove very valuable when turning leads and opportunities into customers. Unlike traditional CRM, Social CRM focuses on the customer. The customer runs the show. This type of CRM is a two way street. Whereas before the customer had really nothing to do with CRM, they now have the power to discuss your brand and industry online in a public and open forum. Your job is to monitor what people are saying and act accordingly. By giving the customer a say in the conversation, you not only increase your brand’s online organic presence, but also allow for better and more meaningful customer relationships, hopefully resulting in them becoming your brand’s online advocate! Social CRM is market research. Because so many people are online, and search for recommendations there, it is important to see who is looking for what, when and why. A CRM will track conversations, activities, and clicks on your website, but it will not track the conversation going on in the social sphere. Social CRM does just that; allowing for a better idea of what your customers and potential customers are looking for and what they value. Another huge component to social CRM is the ability for the company and customer involved to work together to solve problems and make for a better customer experience. Providing top-notch customer service is key, and social media has allowed for a more open and direct line between customer and company. In a study done by American Express, found that people are 9% more likely to do business with a company that has excellent customer service. Overall, this evolution, although it seems more time consuming and complicated, allows for a much better understanding of your target market and industry. For those not already implementing a Social CRM strategy, it is important that you start. If you are a GreenRope user, then you are in luck. GreenRope’s social feature contains key words and social profiles that can be directly linked to contacts, allowing you to easily track not only your workflows and activities with the contact, but their social activities as well! Score! Keep in mind that the keyword searches are HUGE when scouring for mentions of your company online. Use them! You will be surprised at the conversations going on that you could be involved in!